The hoof trimming clinic ontario offers you the chance to learn about hooves and barefoot hoofcare including how to perform a maintenance trim on your own horse. 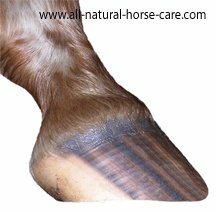 More and more horses are experiencing hoof problems these days, many of which could be avoided by following a more natural approach to hoof care. No Hoof, No Horse has never been more true. Correct hoof form, based on Mother Nature's design, goes a long way towards this. Subtle differences in trim methods can help restore hooves to their original healthy state. You will also learn the best methods of horse keeping that allow your horse to be healthier, happier and fitter. These clinics fill up fast, so to ensure your place book now. Payment can be made by cash or cheque or if you want to use a credit card then you can do so online using Paypal. If the clinic of your choice is fully booked, you can't make the current dates or you want to host a clinic at your barn please fill out the booking form to register your interest and we will contact you as soon as new dates become available.